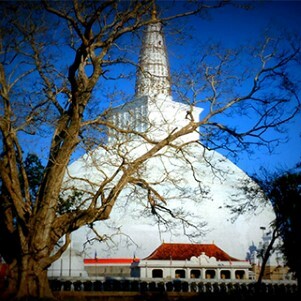 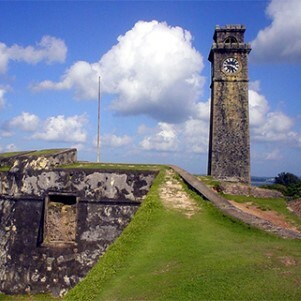 Founded around 5th Century BC, Anuradhapura is the oldest city in the Cultural Triangle and Sri Lanka’s first capital. 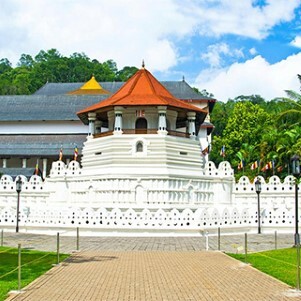 In its heyday, tens of thousands of people lived in a city of royal palaces, monasteries, temples topped by glittering jewels, houses of two or three storeys, shops, pleasure gardens, bathing pools and wooded parks. 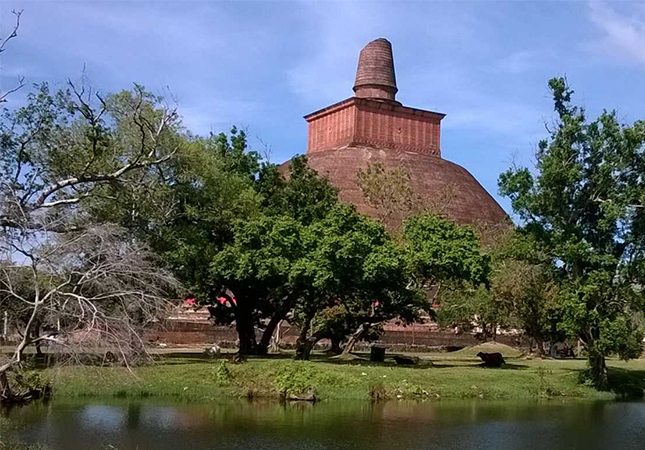 Today, the restored remains of ancient Anuradhapura are dotted amidst peaceful parks to the north and west of the modern city. 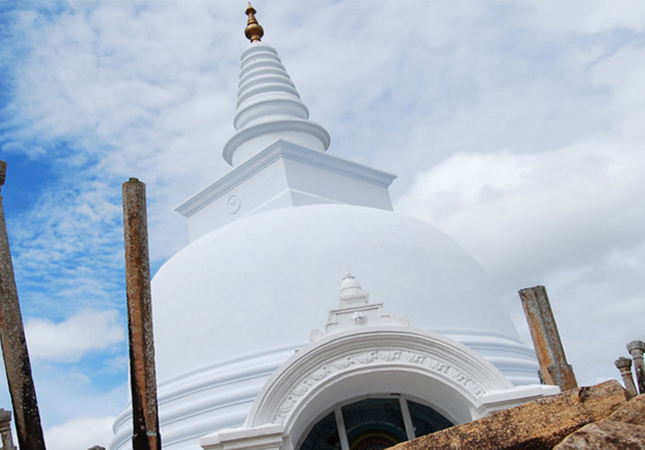 Among the many bell-shaped dagobas or temples are Thuparama (which enshrines a relic of Lord Buddha), and Ruwanweli, rebuilt to its original 2nd century BC bubble shape. 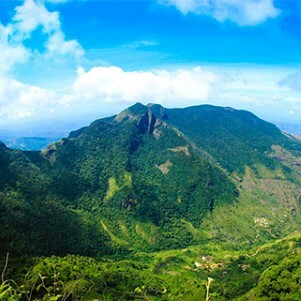 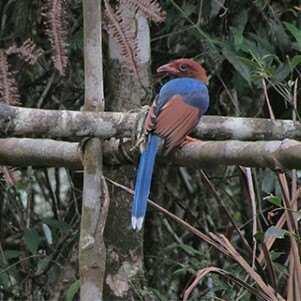 Other dagobas include the 1st century BC Abhayagiri and 3rd century BC Jetawana, both around 120 metres high and second in height only to Egypt’s mightiest pyramids at Giza. 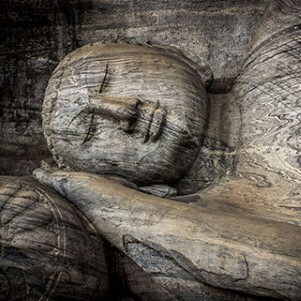 Excavations have unearthed jewellery, sculptures, coins and other rare artefacts including seven Buddhist scriptures etched into sheets of beaten gold. 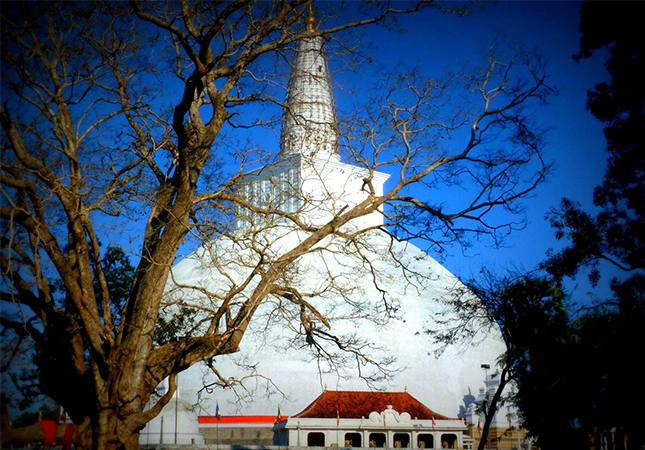 Soaring towards the sky, the magnificent dagobas reached monumental proportions during the period of the kingdom of Anuradhapura, which lasted for about 1,500 years, until the 10th century AD. 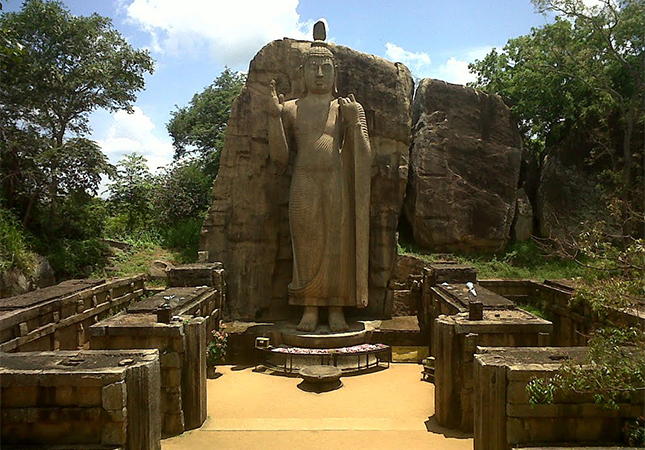 Stone pillars are all that remains of the 1,000-room monks’ residence or Brazen Palace, near Sri Maha Bodhi or the sacred bo tree, a slender fig or Ficus religiosa supported by iron crutches. 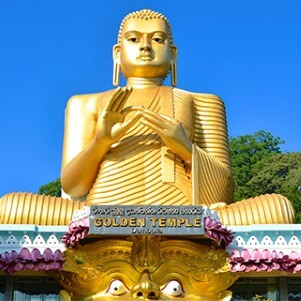 The oldest historically documented tree on earth, this grew from a sapling taken over 2,200 years ago from the very same tree under which Lord Buddha gained enlightenment. 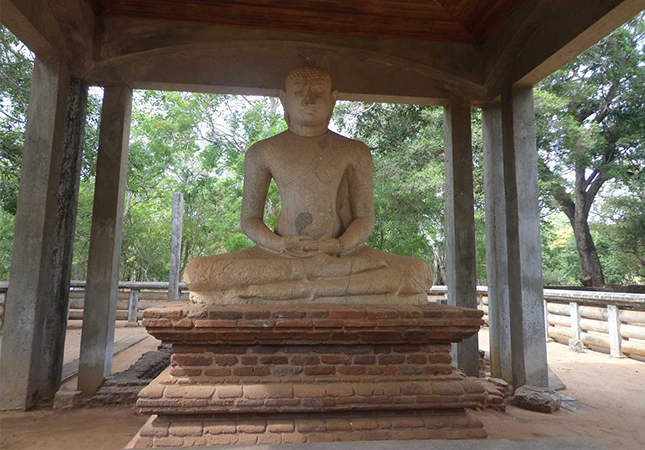 The finest of the carved stone figures protecting gateways (guard stones) at Anuradhapura is at the pavilion of Ratna Prasada. 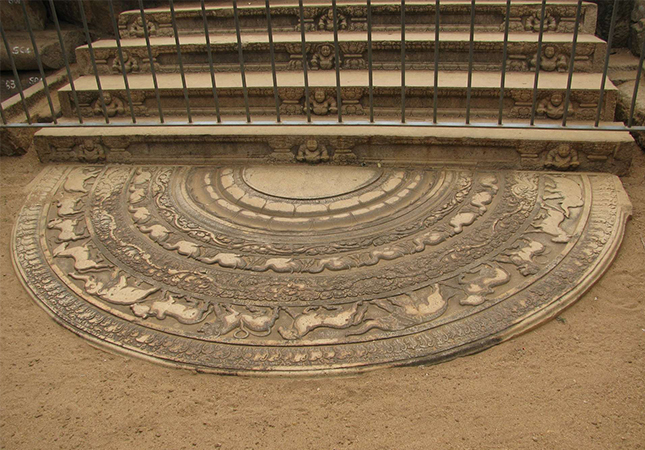 Nearby, at the Queen’s Pavilion, is a superbly crafted semi-circular stone moonstone set at the base of the stairs. 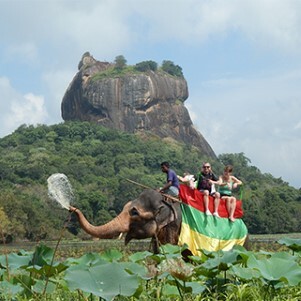 The Isurumuniya Rock Temple is renowned for its ancient bas-relief sculptures, including those known as The Lovers, The Horseman and a group of elephants playing in water. 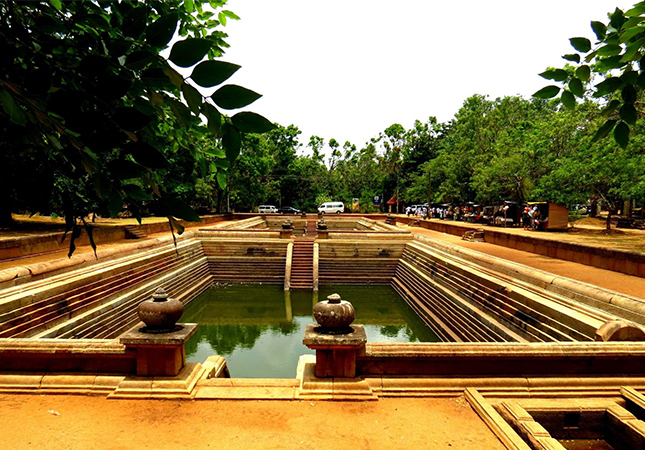 No less than three vast irrigation lakes, which remain to this day, nourished the agriculture of ancient Anuradhapura, which offers numerous other fascinating sites.